The bungalow is just behind the museum and very close to the best sunset location on the island. Rene was a great host and would definitely recommend. I suggest renting a car to go around the island. The porch was my favorite I never want to forget it. It was just lovely to sit and read and watch the boats in the ocean. I left the door open the whole time so I could hear the ocean and the wind and the rain. It was perfect. Very nice little house, away from the center of town. Spacious inside, with a comfortable open feeling, and a large deck. Quiet location, with easy access to the seaside and Moai (less than five minute walk). About a fifteen minute walk to the center of Hanga Roa. Rene and Tonya were very nice hosts! Absolutely fantastic place to stay!! The house was excellent, the hosts were incredibly friendly and hospitable, and the ocean view from their very large porch was incredible. There was plenty of seating on the porch but we strung up a couple of hammocks and it was truly paradise. It was also very very close to Tahai for sunsets. An easy five minute walk from the back porch. For the money this is truly a great place to stay. We absolutely loved it. Very good location! We could see the beautiful sunset from the beach. 5 minutes walk. This is a TRUE find for those whom want the world to stop and be in the EASTER ISLAND set. SO disconnect (no wifi) and be happy you selected a piece of paradise that is never found except here. BY THE WAY - YOU'LL need a rent a car for this location and for all the sites there after so just GET ONE. HOST was AWESOME..
Best location for sunset! There was a Moai in the garden. Host René was great and we could rent a car direct from him. House was cosy and well kitted out. Walk to town was only 20 minutes along the coast. Very friendly host greeted us at the airport and gave us a little tour of Hanga Roa on the way to the lodging. The view from the patio is breathtaking. 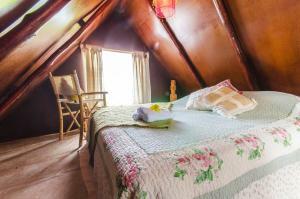 The house is very cozy and is equipped with anything you might need during your stay. Walking distance to points of interest, shops and restaurants. Loved the location. An old Maoi is located in the garden and another is viewed from the balcony. Very private and peaceful. Trop chouette - proche des Moai et du fabuleux sunset - la cabane est parfaite ! Les proprietaires tres tres sympa - notre sejour fut excellent ! 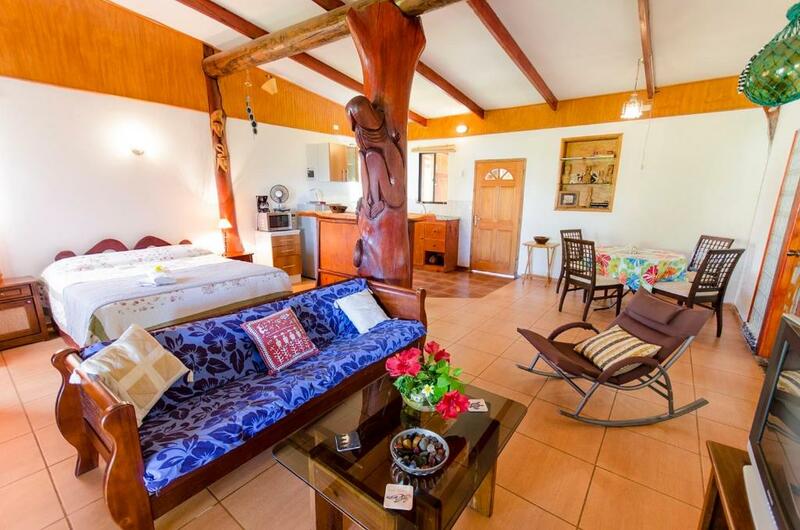 Lock in a great price for Cabañas Moai – rated 9.3 by recent guests! Set in Hanga Roa, Cabañas Moai is 650 feet from Hanga Roa Anthropological Museum. Tahai is 1,650 feet from the property. Free private parking is available on site. Featuring a terrace, the accommodations features a seating area with a flat-screen TV and DVD player. Some units have a balcony with sea or garden views. Bed linen and towels are provided. 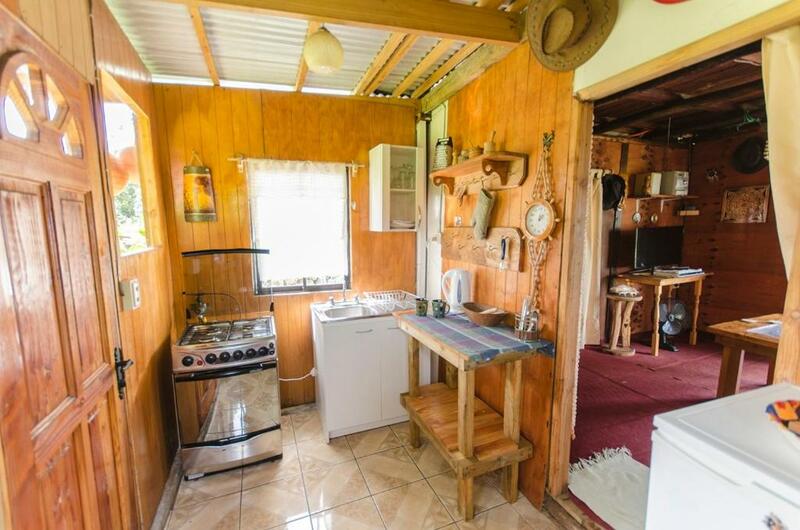 All units include a kitchen fitted with an oven and microwave. A toaster and coffee machine are also available. All rooms are equipped with a private bathroom. 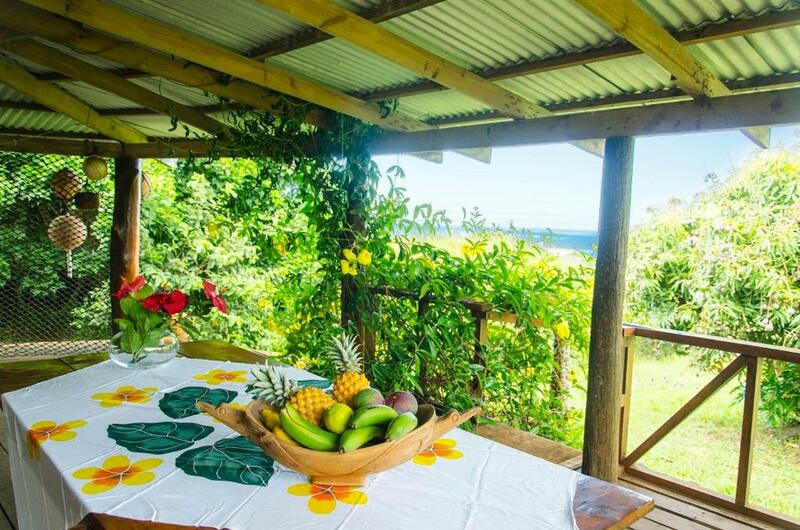 Cabañas Moai also includes a terrace. Car hire is available at the property and the area is popular for horse riding and diving. 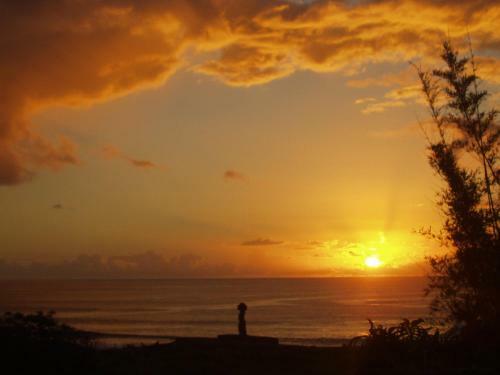 Puna Pau is 1.6 mi from Cabañas Moai. The property offers a free airport shuttle service. 뀐 Located in the top-rated area in Hanga Roa, this property has an excellent location score of 9.5! 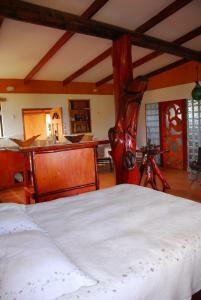 When would you like to stay at Cabañas Moai? 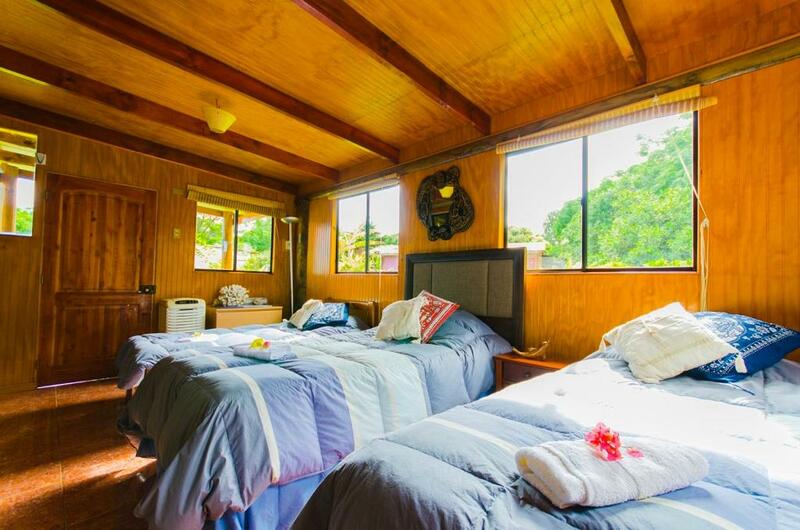 Balcony with views of the ocean and the Ahu Koteriku de Tahai. There is one double room on the ground floor, and another double room in the second floor. Fully-equipped kitchen. Independent entrance and private parking. Balcony with views of the ocean. 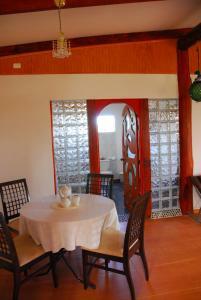 Fully-equipped kitchen, dinning table, and bathroom. Las cabañas son cómodas y está equipado para que el visitante se sienta en casa y están ubicadas a pasos del Ahu Tahai y del mar, con muy buena vista al gran océano, bonitas atardeceres, en un lugar agradable, limpio, seguro y tranquilo. Los que trabajamos en la cabaña nos gusta mantener a nuestros clientes cómodos y contentos, dispuesto a entregar actividades que ellos quieran realizar; como pesca de orilla o en bote, buceo deportivo, salida a los lugares de interés, entre otras actividades. Estamos en un barrio privilegiado, cerca a muchos lugares de interés como el Ahu Tahai, Ahu Akapu, a minutos de playas y pozas naturales donde zambullirse en el mar. 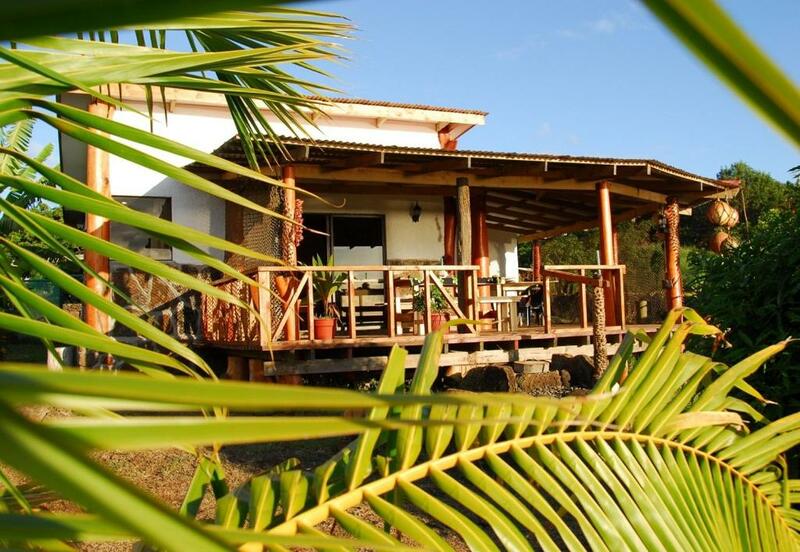 House Rules Cabañas Moai takes special requests – add in the next step! Please inform Cabañas Moai of your expected arrival time in advance. You can use the Special Requests box when booking, or contact the property directly using the contact details in your confirmation. There is absolutely nothing that we didn’t like about our stay. After being introduced to the host and given the key, we no longer saw the host for the next three days until we left. We were never asked if we were ok and if we required anything. The room doesn’t get cleaned during your stay. I’m happy to be left to our own devices but it would of been nice to asked if we were ok during our three days.